Low-carbohydrate diets are super popular right now, especially among paleo dieters. This isn’t without reason. Low-carbohydrate diets can be therapeutic. They often help people with diabetes manage their blood sugar levels. People who suffer from certain types of cancer, chronic migraines,and chronic infections also often benefit from going low carb. Yet low-carbohydrate diets can cause problems, too. It entirely depends upon your own genes, health, and health history. Sometimes, the answer to your health problems isn’t to eat fewer carbs, but to eat more. Here is a list of signs and symptoms you might benefit from increasing your carbohydrate intake. Do you find yourself out of energy by the end of the day? Do you lose your breath after a flight or two of stairs? Are you often fatigued? You may need more carbs. Carbohydrates are the body’s favorite fuel to burn. If you eat carbs, they are immediately available for energy on demand. If you do not eat carbohydrates, your body always has to manufacture them. If you’ve been eating low-carbohydrate for a while, your body might be tired of producing it’s own sugar. Carbohydrates get stored in the muslces as glycogen, which the body loves to burn while exercising. This is why athletes often “carb load” before a big event. If you exercise often but your glycogen stores are low, you may not be able to perform your best. At minimum athletes should keep their glycogen stores topped off. You can do this by always replenishing carbs after a tough workout and/or making sure to eat at least 150 g of carbs on a work out day. Struggling with mass gains? Your body won’t pack on muscle unless you give it both carbs and protein after a workout (the ideal ratio is 3:1, so 30 grams of carbs, 10 grams of protein). Refueling as soon as possible after a workout can help, but don’t forget that muscle repair happens for days after a tough workout, so keep the good carbs coming. A low carbohydrate diet can cause hypothyroidism, or at least symptoms of hypothyroidism. This is because glucose is necessary for the body to make T3 out of T4. T3 is the form of thyroid hormone that actually delivers energy (which is heat) to cells. Women are infamous for feeling so cold all of the time, and hypothyroidism is a big part of that. Being cold is one symptom of hypothyroidism. Brittle hair and nails, thin eyebrows, and difficulty with weight loss are some other symptoms. Check out a symptom list here. If you eat a low carb diet and you struggle with these symptoms, carbs may be a part of your solution. Thyroid hormone is absolutely crucial for weight loss. Since thyroid functioning can be impaired by a low carbohydrate diet, sometimes a low carbohydrate diet (especially if eaten for a long time) can stall or even reverse weight loss. On a low carbohydrate diet, the stress (adrenal) glands also sometimes start to fire heavily. With high levels of stress hormone in the body, fat burning molecules work less efficienty. I recommend starting with 100 grams of “dense carbs” a day. I talk about this in great depth in my program for women’s weight loss, Weight Loss Unlocked. You can check it out at this link. Carbohydrates are necessary for supporting the adrenal glands. Without adequate carbohydrate intake, the adrenal glands have to work harder to try and maintain adequate sugar levels in the blood. When this happens, stress hormone levels rise even higher. Now, of course a very high carbohydrate diet can also cause the adrenal glands to work too hard. The solution here is balance. A balanced diet can help keep stress hormone levels in check. Carbohydrates also help the body – and especially the female body – produce serotonin. Serotnin is the calming “feel good” neurotransmitter. Get adequate carbs to help you feel more calm in times of stress. In addition to being calming, serotonin also helps people (especially women) sleep. Sometimes women lose their fertility if their bodies are stressed out by a low-carbohydrate diet. The female body really, really wants to feel “fed.” If it does not feel fed, it thinks that it might be in a period of famine, and it shuts down reproductive function to protect itself from pregnancy at a dangerous time. Carbohydrates are an important component of getting the body to feel fed. They can also help the body regulate it’s hormone levels, and help prevent the estrogen problems that can cause painful cramping and the like (though there are many things that can contribute to that). The main part of the reason carbohydrates have such a bad name is that a lot of carbohydrates are genuinely bad for you: breads, cereals, pastas, pastries, and other processed foods can all cause weight gain and be pretty harmful. The most important part of being healthy and losing weight is the quality of the food you eat, however. So simply don’t eat the bad carbs, and focus on the good ones. Good carbs are 1) the sweet and starchy vegetables like beets, squash, potatoes, sweet potatoes, yams, batata, cassava, and taro, and 2) fruits. Quinoa and rice are also okay. 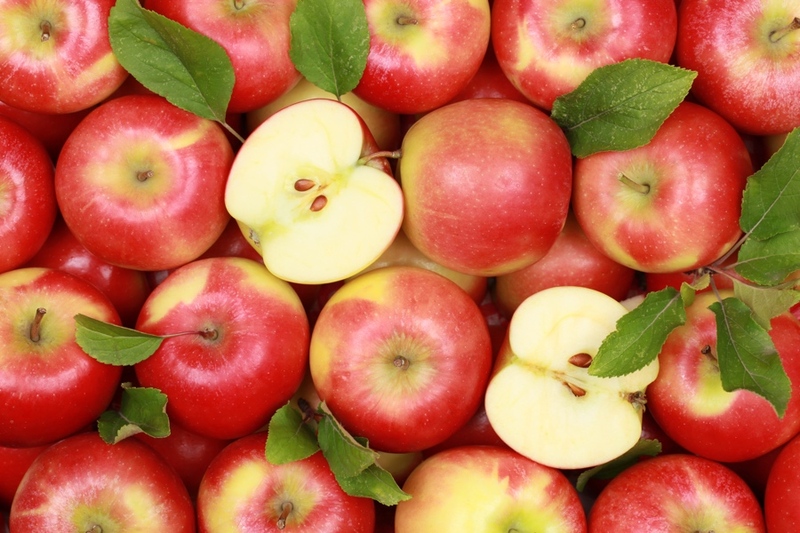 Most people I notice tend to do better with either starches or with fruits – the only way to know which is better for you is to try them out and see for yourself. How many carbs you should add to your diet after being on a low carbohydrate diet (or on any diet) is complicated. It varies from person to person. Pregnant women should definitely err on the side of eating more. So should athletes. For that reason, I recommend starting with 100 grams of dense carbs (so starches and fruits) every day. if that seems like too much for you, especially if you are coming from a very low carbohydrate diet, then simply add them slowly. Once you get started it is very easy to find your own person range or sweet spot. Jackson’s sweet potato chips, fried in coconut oil! Coconut yogurt, full of good fats and some decent sugar. For more details on carbohydrates and women’s health and fertility specifically, check out this post! For more on my theories about carbohydrates and weight loss, check out my risk-free program for women’s weight loss, Weight Loss Unlocked, at this link. What do you think? 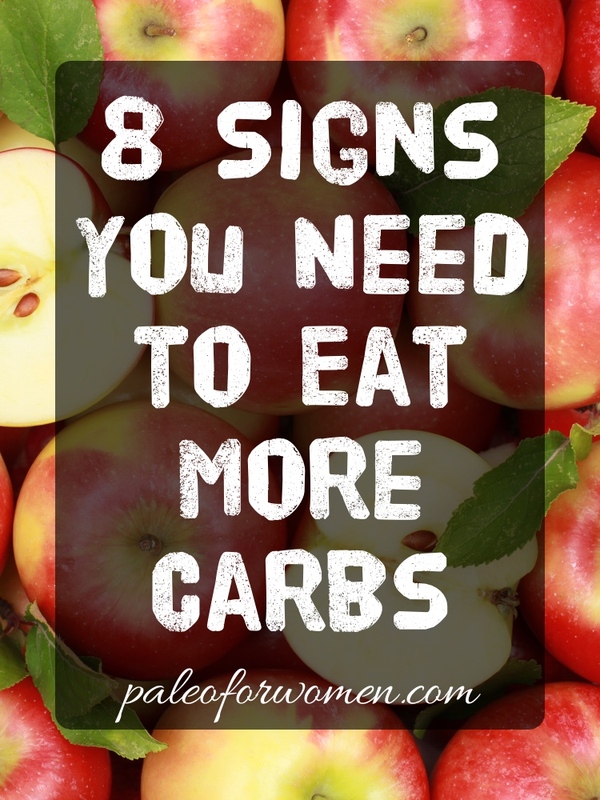 Do you need more carbs? Less? Am I smart? Crazy? Let me know what you think!! Thank you for continuing to talk about carbs, and specifying good carbs! Months ago I kept wanting butternut squash and kept freaking out – is it too high carb? Too much fructose? Ahh! I told my husband I didn’t want to worry about being low carb, and he said, “It’s not like you’re craving snickers. It’s a plant. Put it in your face.” Then I cracked up laughing! 🙂 And I ate maybe three butternut squash in three weeks. Now I eat roasted carrots and parsnips when I want. I think eating those veggies have helped me feel better. lol I mean eating enough carbs that you don’t think about it that way. For past some days, I was getting frequently tired very fast. Consulted the doc, but still was not able to come to the conclusion. Just them I came across your blog and followed your advice of eating more crab related diet. Somehow I feel that I was lacking the fire and energy to burn the food so that it gets digested and passed to other parts of the body. AWESOME. Carbs are the best! This is a brilliant article.. I lost my period for 6 months not realising it was down to low carb and workouts. My Dr even said “oh it won’t be that” there needs to be more info about this around.. I introduced more carbs and low and behold period came back. There is a problem with your Submit a Comment. I type in my comment, submit, and the error response is that the Captcha timed out. When I click Back in my browser, my comment is erased from the form. I wasn’t even on this page very long, so the Captcha timing out is very frustrating. Low-carbohydrate diets really help only athletes, bodybuilders or fitness, fitness bikini etc. All amateurs in fitness make typical mistakes because using these diets wrongly. By the way I have a lot of experience in diets. Thanks a lot for sharing, your information was useful for me! Thanks for your post. I’ve been on keto diet (less than 40g of carbs/day) and I’ve hit a plateau on my weight loss, though I’d only like to lose 2 more so no biggie. I decided to go to maintance now. I haven’t had my period in 8 months and I think it’s time to introduce the good carbs again. Plus, I’d really love to be able to eat sweet potatoes, and some fruits. I’m just a bit afraid of putting on weight again, but I suppose I’ll have to try. When you don’t get enough carbohydrates, the level of sugar in your blood may drop to below the normal range (70-99 mg/dL), causing hypoglycemia. Your body then starts to burn fat for energy, leading to ketosis. Symptoms of hypoglycemia include: Hunger.